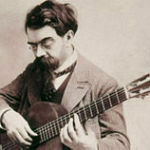 Here’s a free sheet music edition of one of Francisco Tárrega’s (1852–1909) popular salon works. 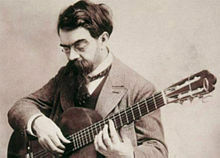 This is a very popular salon work for classical guitar. Marieta, Mazurka is a beautiful melody with some nice accompaniment surrounding it and the mazurka dance to tie it all together. It’s works like this that make him the Chopin of the guitar. Get the free sheet music and follow the video lessons. 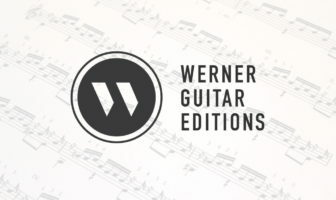 I’ve made a free copy to attract guitarists to the site and a tablature (tab) version for those who need it. This is a nice short work that is often played by students and professionals. Join the Email Newsletter to get updates on free sheet music and more. Please consider donating to the site to keep the free sheet music coming. I really enjoy your playing & your videos. Thanks! In Tárrega’s “Marieta,” though, it looks like you’re playing an F# in the bass at 0:39 (bar 6) instead of an F♮. Definitely needs to be natural there, moving up to sharp on best three of the next bar! Cheers!